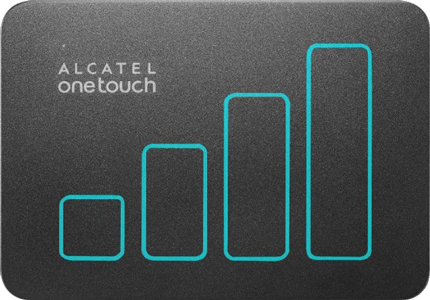 To be able to connect to Alcatel MiFi Y900 with a smartphone, you need to install the Alcatel One Touch Link app on your smartphone. To do this, see Download application for the smartphone for installation instructions. If this screen appears, scroll to the right and choose Start. If Wi-Fi is disabled, enable Wi-Fi. If Wi-Fi is enabled, go to the next step. All available wireless networks within range of your Alcatel MiFi Y900 are listed. If the network is not listed, make sure that the network is enabled and within the range of the smartphone. The smartphone is now connected to the hotspot network. To use the internet via Wi-Fi hotspot, enable Salt. You can modify the settings of Alcatel MiFi Y900 to your own preference.